Fun fact: oregano is a bully! That's right-A BULLY! I have a planter that has basil, chives, parsley, and oregano. Over the course of a couple weeks the oregano started taking over the planter-getting all up in the other herbs' business (except the basil, the oregano couldn't mess with that tree!) The unfortunately part is...I haven't used any of it. It's just this big bully plant that I don't even use. 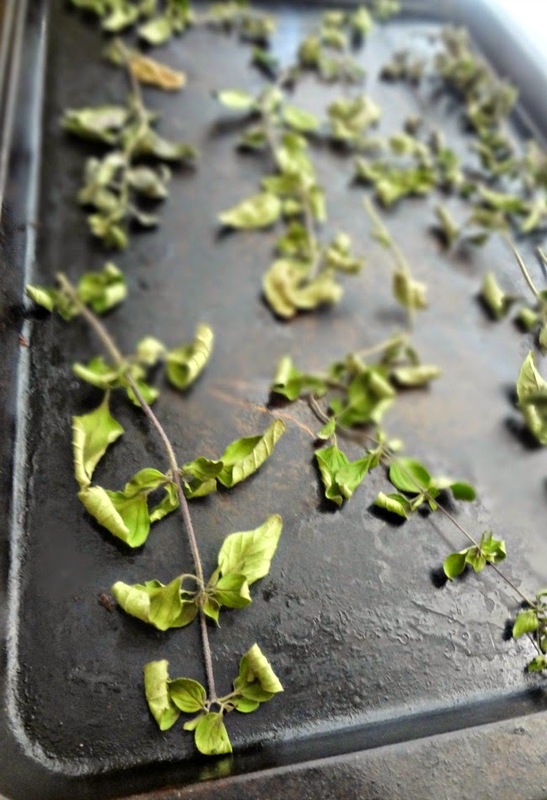 Less than 24 hours after reading about this super easy way to dry oregano I had done it. Because, you see, the only time I really use oregano is in pasta sauce, or maybe on garlic bread or some such. Not super often. And the bummer about herbs is they tend to um...die....eventually. And-sadly-summer is ending. 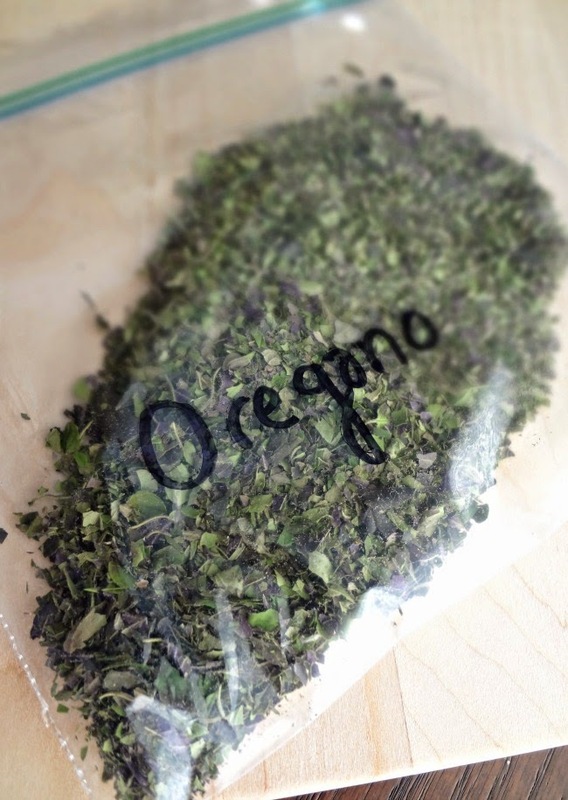 So drying the oregano means it will LAST, and then I can use it when I need it! I snipped off some oregano branches and laid them on our table. Michael commented how pretty they looked and that he'd like to own a table with glass where you see herbs inside. Um....ok.
Let it all sit overnight. Woke up and preheat the oven to 170F degrees (turns out that is a quick preheat). I only have smallish baking sheets and a lot of oregano...so I did the whole baking for an hour thing in a few batches. Crumble the leaves. And...um...yeah. That's it. Done! If you're cool you store the dried oregano in some sort of jar or some such. If you're lame like me then you put it in a ziploc bag which makes you think about how potheads always claim their drugs are oregano...and you hope nobody sees this bag and thinks you have a secret drug habit. But you're reassured that people would be much more likely to believe that Kayle would have dried oregano than...ya know. Anyway. You get the idea. It's a simple process. And pretty darned cool. True story. Pick/snip off stalks of oregano. When ready, the next day, preheat oven to 170F degrees. 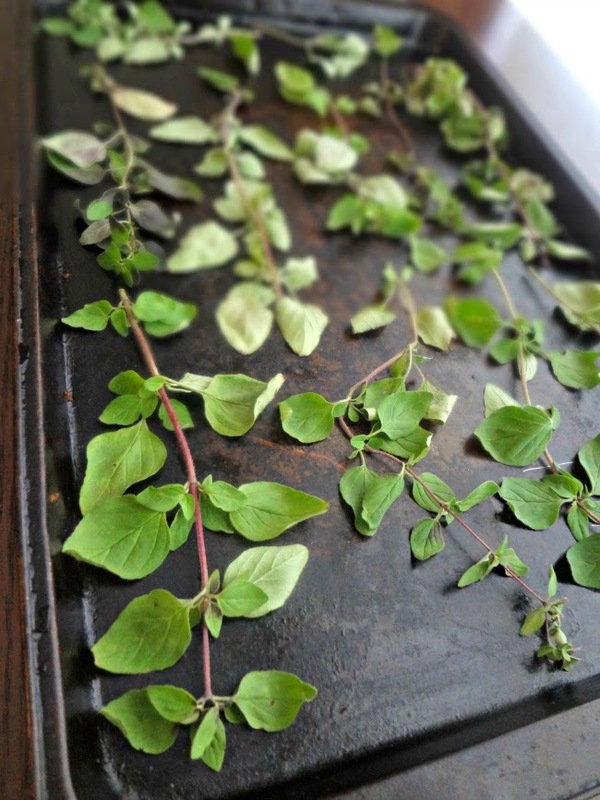 Place oregano in a single layer on a baking sheet. Remove from oven. 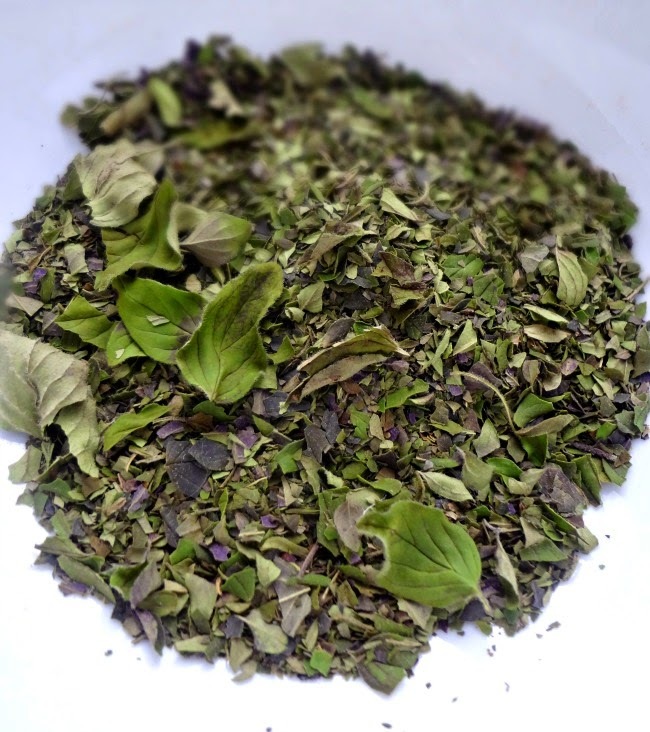 Crumble oregano leaves into a container and crush. Store in an airtight container, preferably in a cool, dark location. Use in pasta sauce, lasagna, garlic bread, etc!